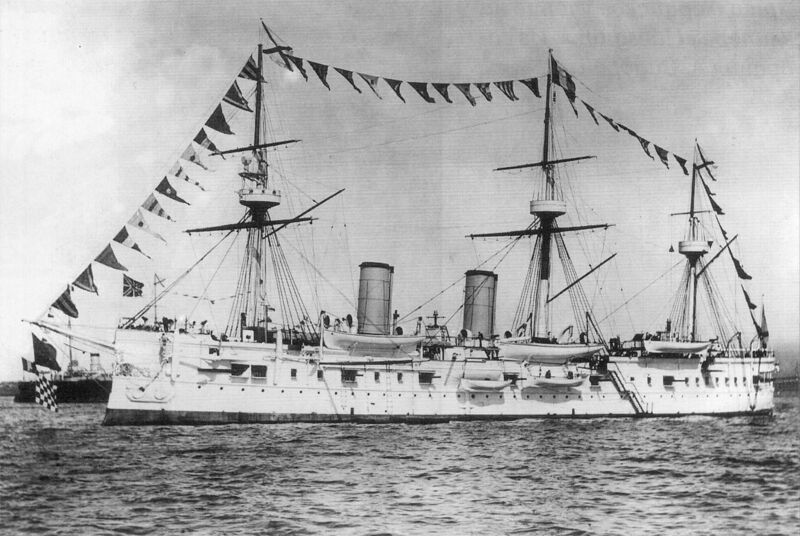 The wreck of a Russian warship sunk in 1905 has been found in South Korea. It is believed to be carrying gold worth more than US$130 billion when it sank. Damaged in 1905 during the Battle of Tsushima in the Russo-Japanese war, it is believed to be have gone down with US$133 billion in gold bullion and coins on board. A decision was made to scuttle the vessel so that the Japanese would not seize the gold. This treasure was meant to be used to pay for fuel, port fees and crew's salaries for the Russia's Pacific Fleet. However, whether or not the vessel was indeed carrying such a cargo is yet to be confirmed. According to a press release issued by the Shinil Group, a Seoul-based maritime salvage group that backed the exploration team, the wreck lies on a slope on the seabed, with its stern at a depth of 380 metres and its bow at 430 metres. A third of the stern was bombarded and the hull severely damaged. All three masts and two chimneys are broken. However, the armour on the side of the hull is well preserved with the anchors, guns and machine guns still in place. The wreck was positively identified when a submersible came across the vessel's name in Cyrillic characters on its stern. The Shinii Group intends to raise the wreck in October or November. It has agreed to hand over half the gold to the Russian government, with the remainder to be spent on tourism projects on Ulleungdo Island and development in northeast Asia.